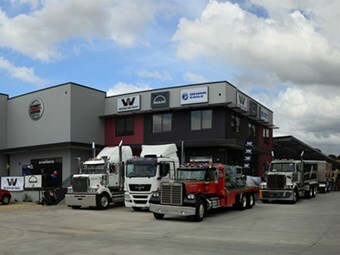 New Sydney truck centre open for business! MAN introduce a purpose-built truck and bus facility and aim to offer a high level of service for workshop customers. Sydney Truck Centre purpose-built truck and bus facility. MAN Automotive Imports is pleased to announce the opening of the new building and location for the Sydney Truck Centre dealership. The multi-million dollar purpose built truck & bus facility is located at 20A Ashford Avenue, Milperra NSW. The new Sydney Truck Centre is the authorised Sales, Parts and Service dealer for MAN trucks and buses, Western Star trucks and Dennis Eagle trucks. The new facility features a 24-bay high-span service workshop, an on-site paint shop and over 1000m² of spare parts storage. A motel style driver rest area is also offered for the comfort of workshop customers. The new dealership is in the process of becoming an accredited Detroit Diesel service dealer and offers dedicated afterhours breakdown service, full in-house finance facilities and twice daily parts delivery in the Sydney area. "We are very proud of the new facility and the high level of service that we are able to provide our customers", comments Mark McKenzie, Dealer Principal Sydney Truck Centre. "The dealership offers ready access to major motorways and transport hubs and we have added more factory trained technicians and parts personnel to support the increase in truck sales that the dealership has been experiencing over the past twelve months", adds Mark. Sydney Truck Centre is located at 20A Ashford Avenue, Milperra NSW. 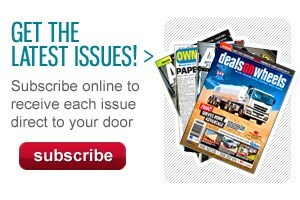 The dealership can be contacted by phone at 1300 633 248, or online at www.sydneytruckcentre.com.au. Click here to find MAN trucks for sale. 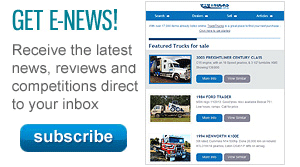 Click here to find new specs for MAN trucks.